Q. 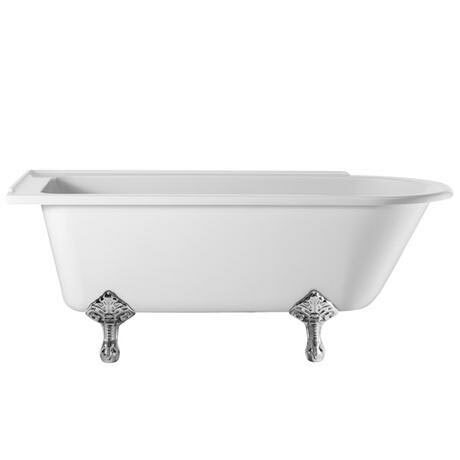 What height is this bath and what is the interior length measurement? Hi Jennifer, if you select the colour and style of feet you are looking for, a Product Dimensions tab will appear underneath the image which has all the dimensions info for this showering bath. I hope this helps! Q. How wide are the edges? The edges of the Burlington Hampton Showering Bath measure 72mm plus an extra 2mm for the lip detail on the edge. The end where the taps are measures 115mm. Hope this helps!